Before approving any Offer in Compromise (except DATL), the IRS must first calculate “Reasonable Collection Potential” (RCP), and determine if a “Doubt as to Collectibilty” exists. If there is a Doubt-as-to-Collectibility, the IRS may accept the Offer in Compromise. Otherwise, the DATC Offer will be rejected. What does Doubt as to Collectibility Mean? In other words, if it is feasible for the taxpayer to pay the entire amount in either a lump sum (which for OIC purposes means no more than five installments) or via a payment plan that ends before the SOL expires, then there is no “Doubt as to Collectibility,” and the Offer in Compromise will be denied. There is some leeway here thanks to the subjective word “unlikely” in IRM 5.8.1.2.3(1). The more the taxpayer owes in relation to the RCP (more on that in a minute), the more “unlikely” it is that the taxpayer can complete the repayment without creating a substantial financial hardship. An attorney’s job is to convince the Service that the point of no return comes up much more quickly than the raw numbers indicate, and in the post-Fresh Start environment, this concept is an easier sell now than it was five years ago. Assets: OIC calculations are usually based on an asset’s quick sale value, which is 80 percent of the Fair Market Value. Bear in mind that a home’s value on the tax appraisal website is usually not the FMV. This figure should probably come from a real estate appraiser who will look at comparables, market conditions, and so on. Disposable Income: Similarly, there is often a difference between what the IRS considers optional and what expenses are really optional in the workaday world. 401(k) loan repayments spring immediately to mind. The income calculation must cover either the next twelve months for a lump sum offer, or the next twenty-four months for an installment payment offer. 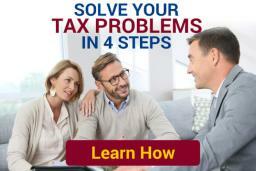 If the taxpayer’s income is expected to change during that time period, perhaps due to pending unemployment or retirement, the IRS needs to know this information, because the aforementioned automated process will not account for such changes. Ultimately, the numerical portion is all about the Reasonable Collection Potential. Before the IRS crunches the numbers, this figure needs to be as low as possible. That means carefully scrutinizing Form 656 and providing as many supporting documents, including letters, as possible. There are some policy considerations embedded in the OIC as well, and in a future post, we’ll look at how taxpayers can leverage these considerations in their favor.